Want to upsize the kids' sleep? Introducing the Supersize Bed! Want to upsize the kids’ sleep? Introducing the Supersize Bed! Most kids may like their food fast, but we’re sure most parents prefer if it’s their sleep that’s upsized! Here’s a novel bed to get the kids to trot off to bed without so much as a sideways glance. 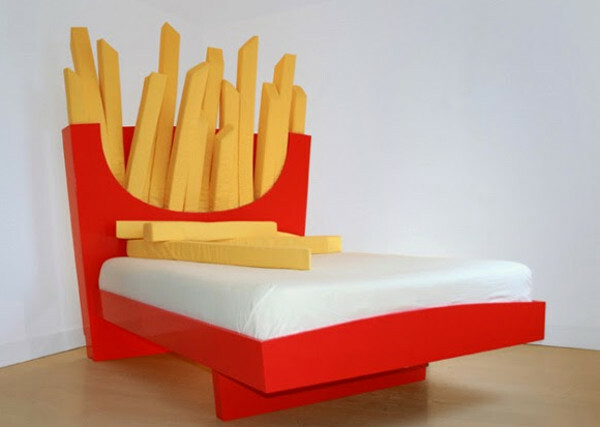 A collaboration between “architectural foodsmith” Harry Parr and set and costume designer Cecilia Carey, the Supersize Bed is both a bit of fun, and surprisingly functional. 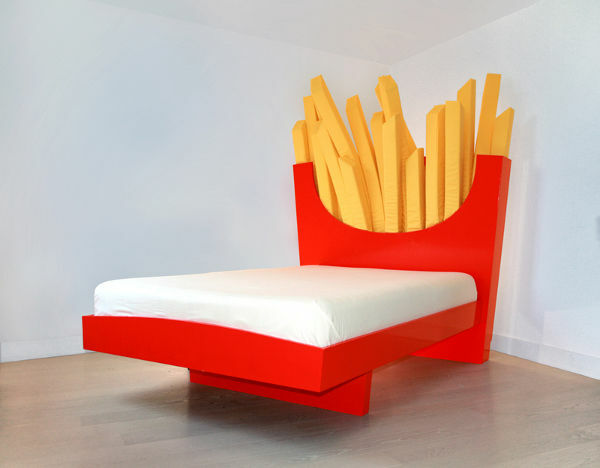 Yes, it looks like a bed with bed head made from a giant carton of French fries. But those French fries can actually be removed from said carton, and used a pillows. Cool, huh? Cecilia can make the bed to fit any mattress size, but you will need to contact her directly about cost and shipping to Australia.